How can I liquidate a company? If you are owed more than £750.00 by a limited company and they have refused/neglected to pay you can apply to liquidate the company by presenting a petition to court. Your petition will be based on the fact that the company cannot pay its debts and you will have to prove this with evidence in court. Liquidation of a company is a legal process where a liquidator is appointed by Order of the Court to "wind-up" the affairs of a limited company. Winding-up a company does not mean that a creditor will get paid. The process only ensures a company's affairs have all been dealt with correctly. The liquidator then applies to have the company removed from the register held at Companies House and dissolved, meaning the company no longer exists. What can I use to prove that a company cannot pay its debts? It is proved to the court that the company's total debts exceed its total assets ie the company is insolvent. Which courts deal with winding-up petitions? Some County Courts can be served with a petition if they deal with insolvency matters, the company's trading address or registered office falls within their area and the paid-up share capital of the company is £120,000 or less. How much does it cost to file a liquidation petition? The cost is made up of the court fee to issue the petition of £220.00 plus the official receiver's deposit of £1165.00. In total £1385.00. In addition you should add process server fees, these are offered on a fixed-fee basis of £80.00 to £100.00. Most claimants instruct a solicitor to deal with issuing a liquidation petition. The winding-up process is not simply a matter of completing a petition and presenting it to the court. 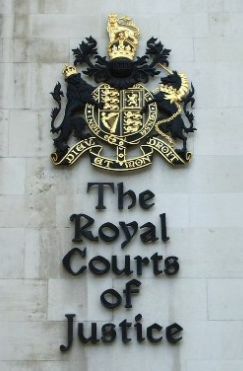 Unlike the small claims track of the County Court a court hearing can result in costs being awarded against either party. Costs may be awarded against you if the court believes you have used the winding-up procedure inappropriately. What happens after a petition is served? Immediately after the process server has served your petition you must file a certificate of service with the Court (Form 4.4 if you have served at the company's Registered Office, or Form 4.5 if you were not able to serve the petition at the Registered Office). A statement of truth must state how you serve the petition and if you were not able to serve at the Registered Office you have to explain why. You must advertise your petition in the London Gazette (www.gazettes-online.co.uk) no sooner than 7 business days after the petition was served and no later than 7 business days before the winding-up hearing. You must file a certificate of compliance (Form 4.7) with the court at least 5 business days before the hearing. To this you must attach a copy of the full page of the London Gazette containing your advertisement. You must file the list of persons intending to appear at the hearing (Form 4.10) with the court by 1630 hours on the day before the hearing.